After spending a few days in Beijing, it was time for me to move on to my next stop. My next stop is the Hexi Corridor in Gansu Province. Most people outside of China haven’t even heard of this place, and even people here would look at me quizzically and ask why i was going to this tiny remote province that was well off the typical tourist highlights. 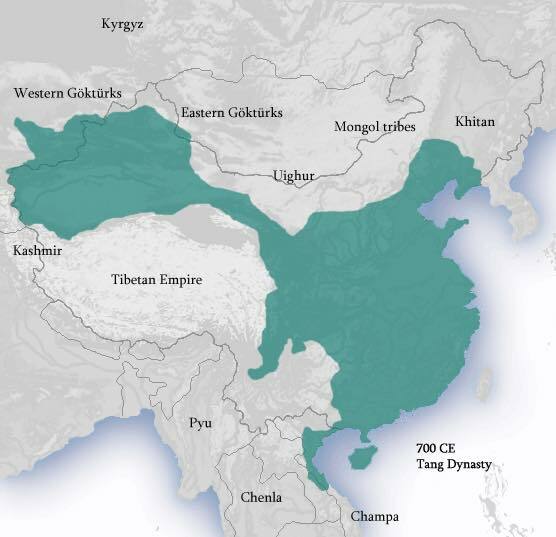 The Hexi Corridor is a narrow little sliver of a path that connects what used to be China in the East and Central Asia in the West. It was the main artery of the Silk Road and is bordered by the huge mountains of the Tibetan Plateau to the South and by the barren Gobi Desert to the North. Because of the brutal conditions in both directions, this narrow passage was the only way for traders to get into or out of China. It was extremely remote (still kind of is) and was dotted with tiny little oasis towns where caravans could stop before they continued onward. Nowadays, China has spread and owns territory far south, north, and west of there, but back then this was the last stretch for Chinese traders before they left China and were out in the great beyond. The thought of these small caravans, wandering for months in desolate areas, going to places that most people of the time had only heard in legends, bravely traveling beyond anything that was ever familiar to them is so incredibly fascinating to me. Really excited to experience that trail myself! This will be tricky travel though. In Beijing, very few people spoke English, but in Gansu pretty much nobody does. On a the forums, people warn that if you don’t speak at least some Mandarin, you’re going to be in for a tough time. On top of that, there is an interesting mix of people there… Uygurs of Central Asia, Tibetans, Muslim Hui, and Mongolians… so some of the people don’t even speak Mandarin. But I think I can handle it ( I hope). Excited to explore China’s wild west!